Seattle Seahawks Tight End Jimmy Graham ruptured his patellar tendon a couple of weeks ago. This is a tough injury for any athlete. It’s a season-ending one, much like an ACL or Achilles rupture is. Athletes can definitely return from this, but the rehab process is a long one. So what will Jimmy Graham’s rehab look like? The quadriceps muscles converge to form the patellar tendon and it attaches on the tibial tuberosity below the knee. Basically, the quad muscles lost their anchor. Without that, the knee cannot function. It really is as simple as that. This can take 6-8 months for sure to recover from, especially for an athlete at that level. The two most significant limiting factors after this surgery are that the range of motion (ROM) is restricted for the first 6 weeks to allow the repair to heal and the other is regaining the quadriceps strength lost from the injury and subsequent period of protected mobilization. You just cannot run, jump, cut or frankly, walk or ambulate the stairs without strong quadriceps. Because of the strength and power needed, especially for him, this injury can take a really long time to get the strength back to perform at a high level. Usually, ROM is restricted for the first 6 weeks or so. People are often locked in extension for a week or so, then a graded progression of ROM is allowed – 30°, then 60°, then 90° by 6 weeks post-op. During this time, the patient should have soft tissue work done on the lower body, strengthening of the hips and lower legs, and for athletes, cardiovascular activity can be accomplished with an arm bike. Quadriceps strengthening can be initiated with some basic exercises and can be enhanced by muscle stimulation to the quadriceps. 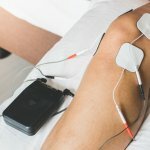 Numerous studies have advocated the use of muscle stimulation after knee surgery to facilitate quadriceps strength both in the short and long-term. Unfortunately, the first 6 weeks is a waiting game for healing to take place. Another concern along those lines is that the incision is rather long as the surgeon has to “open up” the knee. Therefore, a proper healing environment has to be facilitated, but patients will also need extensive soft tissue work to break up any scar tissue from the incision. Once the patient gets the “green light” from the doctor to begin strengthening, the process really kicks into high gear. Weight-bearing exercises like squats, step ups, and leg press are initiated. Again, these are initiated in graded ranges so as to not stress the repair too much. Loading increases over time. Progress is measured by standardized strength testing as well as measurement of the muscle mass. We like to tell our patients that their “tires need full inflation” before we release them to sports. If the quadriceps muscles are smaller, athletes are at risk for a host of injuries. Hopefully, that makes sense. The other issue after this surgery is getting ROM back, especially end-range flexion. Most of the time, surgical procedures are the ultimate “catch-22” – you need protected ROM to allow healing, but as a result, patients often battle getting the last bit of ROM due to stiffness/tightness. Numerous techniques exist to maximize ROM gains, but the bottom line is that you need a physical therapist that provides hands-on treatment to get it. Ultimately, athletes (and really all patients, but athletes especially), need to be able to get their heel to their glutes. If not, a whole myriad of issues can surface. Once adequate strength is restored, impact activities begin. Athletes need to develop not only power, but neuromuscular control to tolerate landing from jumps as well as cutting during change of direction maneuvers. Athletes especially have to demonstrate willingness to load the limb during these activities. 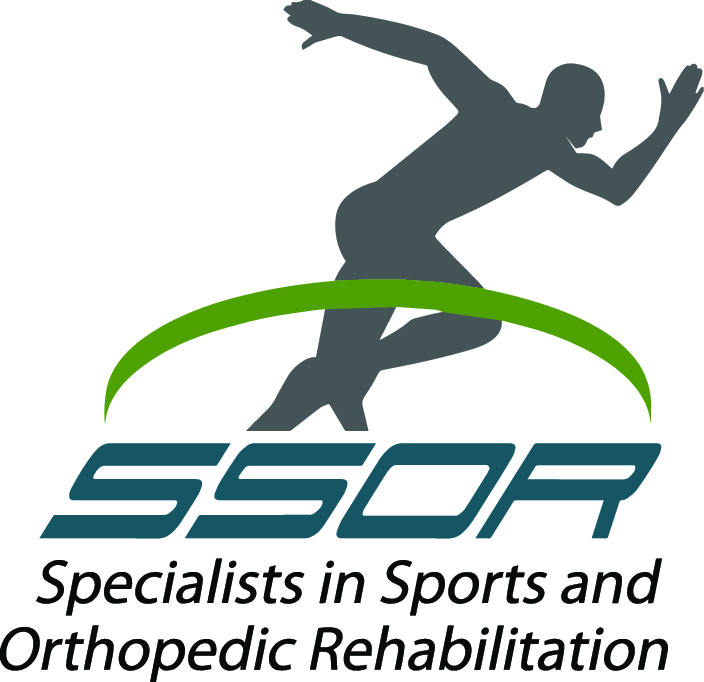 An astute sports physical therapist (like the ones at SSOR!) will be meticulous in their evaluation of the performance of these activities to maximize their return-to-play ability. Will Jimmy Graham come back the same or better after this injury? We bet he will. Most athletes have every resource at their disposal to heal and get their bodies right. It’s just a war of attrition – will he have the resolve to persist and keep working to get back? Only he will decide that. Like we said above, expect a 6-8 month recover after this one. SSOR has a goal-oriented population that demands results quickly. Our staff understands post-operative protocols and more importantly, how to safely yet effectively progress you back to the activities you want to do. It would be a privilege to partner with you in your care. Give us a call! We have locations in Prairie Village and Overland Park to serve you.